Sean Boyd, an alumni of JT, has directed and musically directed shows for Broadway Theatre Arts Academy, Trinity Theatre, and several different schools around San Diego. 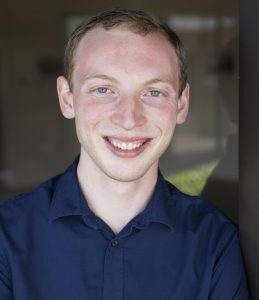 As a performer, he has worked at North Coast Repertory Theatre’s Professional Theatre for Families, Cygnet Theatre (where he is a troupe member for the Storytelling on the Green program), Trinity Theatre, Coronado Playhouse, and many others. He also teaches a variety of theatre related classes around San Diego. Sean is thrilled to be directing Alexander and the Terrible, Horrible, No Good, Very Bad Day at SDJT Winter, 2016! Alexander is having a bad day. A terrible day. A horrible day.